This page was developed to show that the prophecies of ancient peoples and cultures, historical data and science are converging together as we near a time known to the ancients as the End of Days or the time of Purification. This time frame was known to be the heralding of a new age of man called by the Hopi, the Maya, and the ancient peoples of India as the Fifth World. The Jewish people know it as the Olam Haba or World to Come. The sheer magnitude of information is both startling and awe-inspiring. As the geo-political events un-fold and occupy the news world-wide, lessor known but equally earth-changing events have been occurring with an alarming increase in frequency. The earth and the heavens are experiencing many changes that the prophesies from many religions and cultures spoke of millenia ago. The earth has now been moved off it’s axis 2% due to the 9.1 earthquake/tsunami that devastated Japan. Also, magnetic north has shifted 10%. Last year there were 500 wildfires in Russia that devastated their grain production so that Russia suspended grain exports which has had a effect on the prices worldwide. Some agricultural experts are now predicting that Texas will lose two thirds of this year’s wheat crop to drought and fire. And Texas is not the only U.S. state suffering from widespread crop damage this spring; Kansas and Oklahoma are also dealing with serious drought conditions, while Iowa and Minnesota are facing predictions of major floods. Currently, here in the Southwest United States, Arizona is fighting one of the largest fires in Arizona history encompassing 301 miles and 193,000 acres. The smoke is so thick that it has blocked out the sun here in Albuquerque New Mexico. 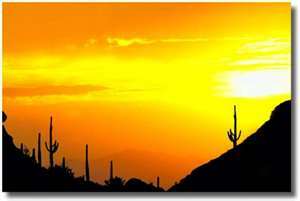 As of June 16 2011, it has become the second largest wildfire in Arizona’s recoreded history. There are severe droughts in Africa and India. We have had massive earthquakes in Haiti, Chile, New Zealand, and Japan. The Mississipi River —There is also massive flooding in Pakistan and the Mississippi River in the United States. The New Madrid Fault, located in the Lower Mid-West which surrounds the Mississippi could be triggered by the incoming Comet Elenin which will come very close, with 42 million miles, of the Earth. Some experts believe that massive flooding could be a sign of coming earthquake activity. Certainly, celestial alignments have been scientifically shown to cause earthquakes and tsunami’s. Eithiopia Africa —In 2005, a gigantic, 35-mile-long rift, called the Afar Rift broke open the desert ground in Ethiopia. At the time, some geologists believed the rift was the beginning of a new ocean as two parts of the African continent pulled apart, but the claim was controversial. Recently, however the claim has been substantiated by geologists from around the globe. This could be exacerbated by volcanic activity, earthquakes, or celestial objects (such as a comet) that can exert enough pressure of the gravitational field. Of recent memory there have been ten of thousands of birds which have just fell out of the sky dead. Millions of dead fish have been found on the western coasts of the United States and Mexico.There are also the deaths of 100 pilot whales in New Zealand which just had a large 6.3 earthquake. A meteorite barely missed us (45,000 miles from earth). If it had hit us it would have produced an impact of 1000 Hiroshima sized atomic weapons. The sun rose two days early in Greenland – see the HUFFINGTON POST. Also see the report of two suns that were visible in China on MSNBC. Scientists and astronomers has also announced that the star Betelgeuse is going to go supernova and that Twin Suns could be seen in 2012. On March 19, everyone saw what can only be termed as a Super Moon, when our moon came the closest than it has in the past 18 years, lighting up the night sky from just 221,567 miles (356,577 kilometers) away. Recently, the moon’s appearance was observed to be out of the ordinary and it was discovered that the moon had actually flipped 135 degrees, probably due to an astronomical alignment. Rabbi Mattityahu Glazerson, the world renowned Torah Code scholar has verified that the TORAH CODES indicate that there would be changes in the Moon in 5771 (2011). It has since almost completely righted its self. Hear the details on Yow Radio. Could the March 11 Japanese Tsunami have been helped along by the coming March 19th Super Moon? Here is a very informative You Tube video that covers much of the above. There are numerous prophecies within various cultures that speak of a harbinger of destruction – Sumeria, Egypt Ancient India, the Hopi Indians of the American Southwest and the Middle East to name just a few. The Hebrew bible speaks of a day of destruction, a day of darkness, when the earth is being devastated by pole shifts, movements of land masses and the close passing of heavenly body’s ( see the books of Isaiah [Chapter 30], Zephaniah, Joel..). The prophet Zechariah (chapter 14) foretold of an event that would split the Mount of Olives in half and create a valley which gives the Jewish people an escape route against the Gog Magog armies. Even the Christian New Testament Book of Revelation (chapters 6 and 8) makes note of the passage of an object that causes a huge earthquake, moves land masses, blots out the sun and creates a blood red moon and hurls large space rocks into the earths atmosphere. No mere comet can produce all these effects. Only a lage body that passes thru our solar system between earth and the sun can accomplish this. The ancients called this Harbinger of destruction by many names – Nibiru (Planet of Crossing), Nemesis, The Destroyer, Wormwood and Hercolubus. To the Hopi, this object is known as the Purifier. To the ancient Celts it was known as the Frightener. In our modern age it is called Planet X. In 1984 an article from the September 10th issue of US News and World Report stated that NASA has discovered a planetary object 50 billion miles from our Sun. The report stated that the IRAS platform had discovered a 10th planet, which they called Planet X. The are two issues of prime importance connected to these sunken cities. First off, these cities are older than any cities that archeologists have uncovered to date above the ground. During this time period, modern historians and archeology experts believe that primitive man was barely assembled into tribal groups, let alone building large cities. Second and most profound of all is the fact that these cities are sunken below the oceans. How did they get there? Remote viewing (RV) is the practice of seeking impressions about a distant or unseen target using paranormal means, in particular, extra-sensory perception (ESP) or sensing with mind. Scientific studies have been conducted, and although some earlier, less sophisticated experiments produced positive results, none of the newer experiments concluded with such results when under properly controlled conditions. The scientific community rejects remote viewing due to the absence of an evidence base, the lack of a theory which would explain remote viewing, and the lack of experimental techniques which can provide reliably positive results. Edward A. Dames, Major, U.S. Army, is a decorated military intelligence officer and original member of the U.S. Army prototype remote viewing training program. Major Ed Dames served as the one and only training and operations officer for the Defense Intelligence Agency’s psychic intelligence (PSINT) collection unit, and currently serves as executive director for the Matrix Intelligence Agency. Ed accurately predicted the Madrid bombings that happened on March 11, 2004, five weeks before the terrorist attacks took place, and accurately predict the deadly crop fungus that began in Africa (See You Tube Video). Ed Dames is now the head of his own remote viewing company called PSI TECH. I personally do not advocate remote viewing as appropriate activity for those who adhere to Torah Judaism but his accuracy has been attested to by researchers and others within this field. 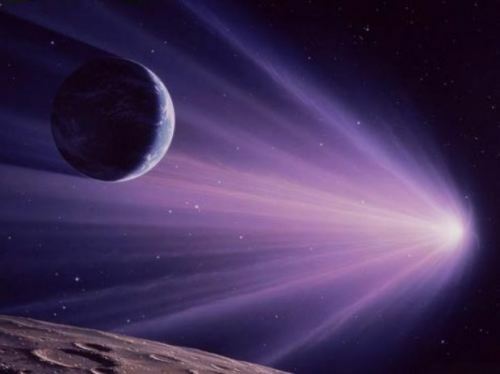 Ed has stated in his documentary film – KILLSHOT – that the event to look for before the series of devastating Earth Changes and cataclysms, is when a space shuttle mission encounters a meteor shower and is forced to abort and return to Earth. There has never been a aborted shuttle mission due to meteor showers in NASA’s history, and in an of itself is quite significant. This ordinarily would be unlikely since NASA is very good at determining windows for space missions. However this remote viewing prediction was made several years ago and Ed would not have known about the Comet Elenin coming through our solar system this year (2011). You should know that in 2010 President Obama ordered the end to the Shuttle Program and the last Shuttle mission is scheduled for July of 2011, literally in about 3 weeks. If Elenin breaks up as the Shoemaker-Levy Comet did, we could see ‘meteor showers’ that Ed spoke of. currently targeted for July 8. Is there anything to the prophecies of old? The Torah text, which has been hand written and passed down in an unbroken chain of transmission from the time of Moshe to this very day, reminds us that if a prophet foretells of an event that comes to pass but tries to convinces you to follow after other gods, you are not to heed that prophet but you must put him to death (Deuteronomy 13). This tells us that even idolators can even possess the prophetic gift and that the foretelling and fulfillment of a prophecy does not make you a spokesman for GOD. Many people today believe that some one who heals or predicts the future must be sent from HaShem, but as you can see that idea has no basis in the Word of HaShem and those who follow such false prophets are fools. “Behold HaShem will strip the earth bare, and lay it waste and twist it’s surface…the earth shall be bare…the earth is withered, sear [scorched]; the world languishes, it is sear…the new wine fails, the vine languishes…terror and pit and trap upon you who dwell on the earth!…the earth is breaking, breaking; the earth is crumbling, crumbling. The earth is tottering, tottering; the earth is swaying like a drunkard, rocking to and fro like a hut…the moon shall be ashamed [blush], and the sun shall be abashed [delayed]…” [Isaiah 24]. The above passages are quite foreboding and literally describe in detail the coming celestial events that will bring about a new heavens and earth also mentioned in Isaiah [chapter 65] (more on that later). One of the ancient names of Planet X that deserves some attention is the name the Egyptians called it – The Destroyer. The reference to an object the Egyptians called the “Destroyer” is repeated often in The Kolbrin Bible and the Egyptian scholars/scribes who wrote some of these Egyptian texts shortly after the Exodus, explain that it was a celestial body with a long orbit (3600 years) which during its last two flyby events caused the Great Flood and the Ten Plagues of the Exodus. Unlike the Torah, this ancient work explains these events as natural disasters. First penned in ancient hieratic, the Great Book was about 4 times the size of the Bible. The impetus for the work was the devastating defeat the Egyptians suffered at the hands of Moshe. Convinced their own gods had been proven to be impotent and inferior, they initiated the first regional anthropological study in history. In the Hebrew Bible the Destroyer is referred to as the cause of the deaths of the first-born of Egypt during the Passover that the Children of Israel were celebrating while as slaves in Egypt. Exodus 12:23 the Destroyer is portrayed as agent of HaShem, the God of Israel who would strike down all the first-born in the land of Egypt unless there door posts displayed the blood of a lamb. Jeremiah 4:7, 6:26 and in Jeremiah 51 also speak of the destroyer. One of the most intriguing references to the Destroyer actually comes out of the Christian New Testament in the Book of Revelation, chapter 9. This passage speaks of a star which fell on the earth which ruptures the earth and causes an opening which smoke and locusts (some kind of army that tortures mankind) pour out of. This abyss is apparently ruled by a supernatural being that the text names both in Greek and Hebrew as Apollyon/Abaddon which in both languages means ‘destroyer’. The term “Nibiru”, meaning Planet of Crossing, comes from the Sumerian cuneiform stone tablets and writings that are 6,000 years old. The Sumerian culture is the first recorded civilization on earth, then called Sumeria, today’s Iraq. It has been known throughout various time periods as Sumer, Mesopotamia, and Babylon, all the same location for where earth’s first culture shows up on earth. The Sumerian Culture is the oldest known civilization we know of based on the artifacts and monuments that still remain. 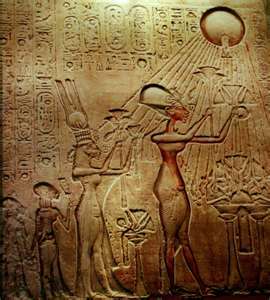 “Annunaki” which is translated to mean “those who from heaven to earth came”. The Sumerians were able to measure the distance between stars very precisely. But how is it possible that earthbound, primitive, pre-technological people were able to do this? And even more mysteriously, why? 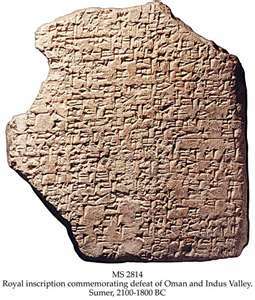 Such star maps would be necessary for space travellers, but not for the ancient primitive Sumerians. Given the extraordinary accuracy of Sumerian astronomical calculations, perhaps it is prudent to have another look at those areas where their information differs from ours. The Sumerian calendar was originally crafted as early as 3,000 B.C. and is also the model for our calendar today. They based their calendar on the cycles of the moon, thereby breaking the year into 12 months, with a leap month put in every three years. Besides the fundamentals of day counting, the Sumerians also had knowledge of more arcane astronomical features, some of which are hard to fathom just how they knew. For example, as the earth spins on it’s axis it wobbles, so that a line drawn from the north pole into space traces a circle as the years go by. The Sumerians assign 12 celestial bodies to our solar system – the Sun, our moon, and 10 planets. Up until the late 18th century our astronomers only knew of 6 planets – Mercury, Venus, Earth, Mars, Jupiter and Saturn. Uranus was discovered in 1781, and Pluto in 1930.
expected from the perturbations upon Uranus. It was quickly realized that Pluto was too small to have the supposed gravitational effect on Neptune, and so the search went on beyond Pluto, for yet one more missing planet, that we now call Planet X. In 1972 Joseph Brady, an astronomer at the Lawrence Livermore Labratory discovered a perbutation in Halley’s comet’s orbit that could only be explained by the presence of an unknown Jupiter sized body. NASA has learned that the trajectories of their long range probes, such as the Voyager class craft, are being disturbed by an unknown gravitational force. 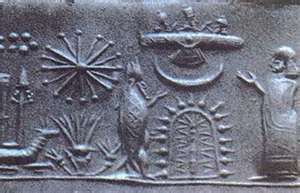 The Sumerian texts state that the 12 planet called Nibiru is on a long orbit of 3600 years (this number is not set in stone due to many variables). 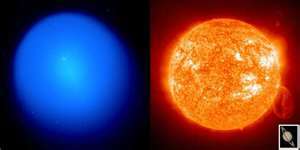 They also inform us concerning the color of the outer planets, and even the distance between the planets, which has been proven to be accurate. 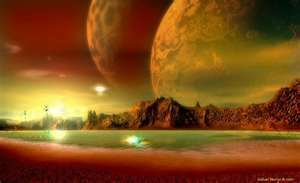 We sent space probes out in the 70’s that took the first pictures in color, which confirmed the Sumerian descriptions. Marshall Masters, a former CNN science reporter, also believes Planet X will return in 2012. In his documentary Surviving 2012 & Planet X, he points to a number of scientific reports that he claims have been later suppressed or covered up because they indicate the government knows about the existence of a rogue planet that is on a collision course with the inner solar system due in 2012. Masters claims that low-level seismic activity and planetary changes on Earth are being created by the influence of Planet X. Most of Masters’s historical support for the impending return of the destroyer comes from a book called the Kolbrin Bible, which claims to be based on earlier ancient Egyptian records called The Great Book. These supposedly contain accounts of previous visits of the destroyer that resulted in world cataclysms. Both Masters’s and Zechariah Sitchin’s versions of Planet X have some similarities to a much more scientific theory that supports the idea that cataclysms on Earth, including periodic mass extinction events, may be triggered by the gravitational influence of an unseen body on the edge of our solar system. This theory, however, doesn’t require a planet or brown dwarf to come charging into the orbits of the inner planets. The secret of how this might happen may be found in a far distant region of our solar system called the Oort cloud. Dr. John Murray of the U.K.’s Open University suggests there is another planet in deep space at the edge of the Oort cloud. Murray has been studying the motions of long-period comets. By analyzing the behavior of these comets, Murray has detected what he believes are tell-tale signs of a single massive object that has deflected all of them into their current orbits, and he calculates there is only a one in 1,700 chance that this is a coincidence. In a research paper published in the Monthly Notices of the Royal Astronomical Society, he has suggested that the so-far unseen planet is a supergiant, several times bigger than the largest planet in the solar system, Jupiter. The orbit of this supergiant would be about 3,000 billion miles and it would take as much as 6 million years to orbit the sun. Such a distant planet would be slow moving and difficult to detect despite its huge size. What is probably the most interesting part of Murray’s hypothesis is the remarkable suggestion that the planet orbits our sun in the “wrong” direction, counter to the orbits of all the other known planets. This has led Murray to believe that it did not form in this region of space and that it could be a planet that “escaped” from another star. He has even been able to calculate that the predicted supergiant lies in the constellation of Delphinus. Richard A. Muller dubbed this hypothetical star Nemesis. Nemesis is theorized to be orbiting the sun at a distance of between 50,000 to 100,000 AU, somewhat beyond the Oort cloud. The existence of this star was originally postulated as part of a hypothesis to explain an apparent cycle of mass extinctions in the geological record. Other astronomers, including Daniel Whitmire, Albert Jackson, and John Matese, argue that the unseen companion to the sun is much more likely to be a brown dwarf. These are unborn stars that briefly ignite but then quickly die. The initial ignition dust cloud that surrounds them makes them very hard to see and even the most powerful telescopes could miss such a star, even if it were very close to our solar system. Brown dwarfs are very common, and if one were orbiting somewhere around the outer edge of the Oort cloud it would be a good fit for the perturber sending comets toward us. 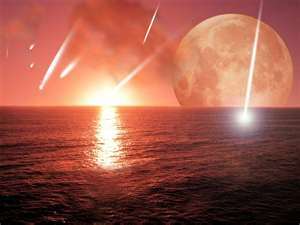 No matter what Planet X turns out to be, the historical record and cultural record from the ancients show that over the millenia the Earth has been visited by celestial events that have caused tremendous destruction and should be taken very seriously. This text tells us that even though the signs are present, most of humanity will be ‘perplexed’ as to what is causing all the chaos. Anyone who begins to investigates what is actually going on comes to realize that there are unexplainable ‘signs’ affecting the sun, moon and other heavenly bodies. The most significant information concerning these cosmic events comes from the Book of Revelation a book of prophecy that utilizes apocalyptic imagery. Chapter 6 describes the opening of the 6th seal which brings about the darkening of the sun, a blood red moon, meteorites which fall to earth and the earth’s atmosphere being stripped away. This appears to a single extinction level event which causes mankind to seek safety in underground caves, caverns and cities. A fly by of Nibiru (Planet of Crossing) between the the earth and sun would be able to produce all these effects on the earth. Revelation chapter eight’s Wormwood is often confused with Nibiru and is often presented by quasi-researchers as Nibiru, often without any substantial analysis. And the third messenger sounded, and there fell from heaven a star burning like a lamp; and it fell upon a third part of the rivers and upon the fountains of water. 11 And the name of the star was called Wormwood; and a third part of the waters became wormwood; and many persons died from the waters because they were bitter. 12 And the fourth Messenger sounded, and a third part of the sun was smitten, and the third part of the moon, and the third part of the stars; so that the third part of them were dark, and they became dark; and the day did not give light for the third part of it, and the night in like manner. The description is that of an object striking the earth which is small enough to affect an estimated one-third of the land, ocean, and air without completely destroying the earth. This object is large enough to cause a cataclysm, yet clearly not as large as the object thought to be the size of “Planet X”. The estimated size of the incoming Planet X is larger than Jupiter. Such an object would completely obliterate the earth, not just one third of it. This description identifies the ‘star’ as a comet or possibly fragments of a comet. In no way could it be identified with the Planet of Crossing. The name Wormwood as a celestial object is unknown in the ancient world and texts that I know of. It’s identification may simply be describing the effects which it causes. Any object of reasonable size that impacts earth will cause massive amounts of debris, vapor, and gases to be propelled into the atmosphere causing a chemical reaction that produces acid rain. Another celestial event is mentioned in the 12th chapter of Revelation that has a particular importance for 2011. The writer speaks of a great sign in the heavens – a woman clothed with the sun with the moon at (or under) her feet. This sign is one of the constellations that can be seen in the night sky. The writer calls this a great sign which could be one way of referencing the constellations of the Zodiac, specifically the Woman – Betulah (Heb.) – also known as Virgo. As one of the 12 Zodiac signs, Betulah is regularly seen in the skies of Jerusalem. While the particular make-up of this sign has been seen before, such as in 1996 and 1999. But the sign did not coincide with the persecution or assault that is described in the rest of chapter 12. In interpreting this sign we must remember that the original group of Jesus’ disciples were not Christians as we have come to understand the term, but were Jews who believed that their teacher was the promised Messiah, an idea not supported by the Jewish people. The Jewish writer of the book of Revelation, whoever that was, wrote of topics and idea’s that a Levite or Priest would have had understanding of, including astronomy. The sign speaks of her being clothed with the sun meaning Sol (the Sun) was in Virgo (Betulah) which occurs during the month of Tishrei (September/October). Likewise the moon would at the same time be at or under her feet. The moon we are speaking of would also be a new moon, therefore dark. Based on research using my Stellarium astronomy software this particular alignment will occur on Rosh Hashana 5772 or September 29-30 of 2011 which is only a few months away. After this, the next time the conjunction occurs is Rosh Hashana 5776 or October 3-4 2016. Rosh Hashana, while being the beginning of the civil calendar, is also known in the Tanakh as Yom Teruah, a day of blowing, when shofars are blown as a warning. It is well known by now that the PA seeks for the UN to proclaim a Palestinian state at the September General Assembly. If passed, the nation of Israel will be ordered to evacuate the new PA state which it will not do. An attack on Israel to enforce the new ‘peace’ will most likely result. This is a potentially good fit for the Christian prophecy. The passage also speaks of the ‘birth’ of a male child who would rule all nations. The birth could refer to a couple things. Since Revelation is a prophetic Apocalypse, the imagery is not normally literal. The male child, which has been typically assigned to Jesus by the Church, could be also referring to the revealing of the Messiah son of Joseph during this time (2011). This Messiah however is destined to die, according to Jewish tradition and evident in verse 12:5 that says that this male would be taken up to God. Another possible aspect of of this sign is that ‘Zion’ is born. This Mashiach will become the leader of the Malchut Shamayim or Kingdom of God. Those who make up this kingdom are faithful Torah Jews. Secular Israeli government will still be in place as it is destined to according to the Zohar and the Book of Zechariah, but initially Zion will be born and persecuted and driven out of the new PA homeland. It must be understood that according to our holy rabbi’s the term ‘a time of trouble’ (referring to the time of Jacob’s trouble) in Hebrew has a gematria of 772. The year 2012 has a gematria of 772 as well and the Hebrew year 5772 corresponds to the Gregorian year 2012. The implication is that in 2012/5772 the Time of Jacob’s Trouble is set to begin. To be perfectly clear, the Jewish 2012 starts in the Gregorian calendar year of 2011 on the 1st of Tishrei – Rosh hashana 5772. 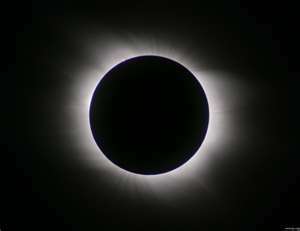 A recent article from Space.Com reports that Elenin passed by one of NASA’s twin STEREO ( Solar Terrestrial Relations Observatory) telescopes and should now become increasingly brighter as it approaches earth. “From August 15 onward, the comet enters the HI-1 telescope’s nominal field of view, at which time we should enjoy continuous viewing of the comet,” NASA researchers explained in an update posted to the Stereo mission website. Comet Elenin will fly through the inner solar system in October 2011 and be 22 million miles (35 million kilometers) away at its closest approach to our planet, NASA scientists have said. Michel de Nostredame (14 or 21 December 1503 – 2 July 1566), usually Latinised to Nostradamus, was a French apothecary and reputed seer who published collections of prophecies that have since become famous worldwide. He is best known for his book Les Propheties (The Prophecies), the first edition of which appeared in 1555. In 1994, Italian journalist Enza Massa was at the Italian National Library in Rome when she stumbled upon an unusual find. It was a manuscript dating to 1629, titled: Nostradamus Vatinicia Code. Michel de Notre dame, the author’s name, was on the inside in indelible ink. This manuscript, never published by Nostradamus, was handed down to the prophet’s son and later donated by him to Pope Urban VIII. 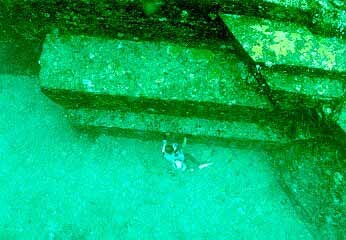 It did not surface again until now, almost four hundred years later. This book, popularly known as the Lost Book of Nostradamus, uses cryptic paintings of strange and bizarre images of popes, decapitation and strange creatures, to explain these ‘lost’ prophecies. 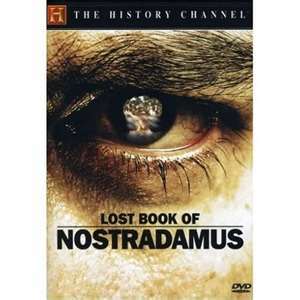 Known as the “Vaticinia Nostradami”,this book has often been considered to be Nostradamus’ final prophecies about the end of the world as we know it. Some of the paintings show new prophecies, while others are either generally indecipherable or linked to earlier quatrains, but not indicated. Among the paintings are a Pope with the body of a dog, female priests, clergymen being attacked and a black-skinned pope. Following are original images from the Nostradamus Vatinicia. [Click here for images]. One of the most interesting aspects to the Lost Book of Nostradamus is appearance on Dec 21 2012 of the constellation Ophiuchus a Greek word meaning Serpent-Bearer, the 13th sign of the zodiac. Ophiuchus is called the hidden sign and one which is considered ominous. At that very same time Sagittarius will be pointing his arrow directly at the galactic center, also known as Leviathan or the Dark Rift. And of course we will be passing through it as well. The Sun spends only about nineteen days in this 13th sign of the Mazzaroth. This constellation is at the centre of both the divine cross in the heavens, formed by the galactic equator and the ecliptic, and the terrestrial mundane cross formed by the equinoxes. These two crosses align every 13,000 years and are about to do so again in 2012. In December 2010 Russian Astronomer, Professor Leonid Elenin, discovered an inbound object that NASA is calling a comet, named Elenin, is due to hit our part of the solar system around September/October of this year (2011). Based on various calculations put forth by various scientists, Elenin will come very close to the earth this fall and could cause potential problems for Earth. Some scientists are convinced that the real danger is being hidden from the public. Marshall Master and panel discuss the topic on Yow Radio – Comet Elenin-The End Times Harbinger. 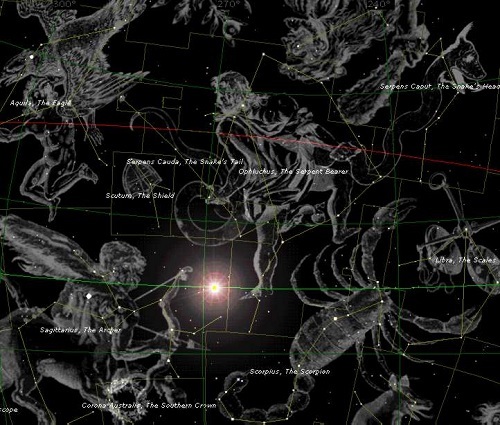 On September 27th, there will be another Sun-Earth-Elenin alignment. This occurs just before the New Moon of Tishrei, marking Roshashana, the Jewish New Year. This might produce more dramatic EM action on the planet. You should also note that this alignment is actually very interesting because Mercury also lines up on the opposite side of the Sun. So it is really a Mercury-Sun-Elenin-Moon-Earth alignment. See THE WATCHERS – Watching the world evolve and transform. Comet C/2010 X1 (Elenin) was discovered by Leonid Elenin on December 10, 2010. But in a official White House document written back in October 2010, the White House addressed the possibility of an Comet/Asteroid striking the Earth. (See the letter here). As far back as 1983, the US government has known of an inbound object that was spotted on NASA’s IRAS Telescope and reported by major news outlets. Within hours of those initial news reports, the kabash was put on any information concern the IRAS discovery. NASA scientists claiming that Elenin is little more than a comet comprising icy space debris with negligible mass that will have little effect on the Earth. However other scientists and private researchers claim that Elenin is a large planetary body, possibly a brown dwarf star, and its near approach will have calamitous effects. Much of the evidence for Elenin being a large planetary body has been centered on conspiracy theories related to a government cover-up of an incoming brown dwarf star given the name Planet X. Rather than mere conjecture by conspiracy theorists, Planet X was first reported by the Washington Post and New York Times in two articles that appeared in 1983. The debate over Elenin’s significance has been dramatically changed with the emergence of a Bosnian scientist who has released a remarkable paper tracking the relationship between planetary alignments and seismic (earthquake) activity on the Earth. 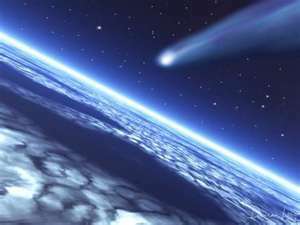 Dr Mensur Omerbashich claims that since 2006, comet Elenin has had a measurable impact on the Earth’s seismic activity. If Dr Omerbashich is correct, then we can expect a rapid surge in seismic activity in terms of major earthquakes as Elenin approaches the Earth during the latter part of 2011. The list of observation platforms that are either involved in or actively tracking ELE’s which could endanger our solar system and our planet continue to grow. IRAS was the first to identify Planet X in 1983, but the story was suppressed and covered-up. There is also HUBBLE which has had it’s mission life extended to 2013. The newest earth-bound observatory is the SPT (South Pole Telescope a 10 meter diameter telescope located at the Amundsen-Scott South Pole Station, Antarctica) which was necessary due to Planet X’s long orbit south of the ecliptic. NASA is spending vast amounts of money to launch satellites and telescopes into orbit to track the developments of ELE’s. See Yowuas.com for more on this development. Dr. Robert S. Harrington was the chief astronomer of the U.S. Naval Observatory in 1988. Dr. Harrington had become interested in the Planet X phenomenon and in 1991 had traveled to New Zealand to do research on the topic using a 8 inch telescope with a specially ground lens. Harrington had become convinced of the reality of Planet X and wrote a paper called the Location of Planet X, which outlines the science behind it. Dr. Harrington however never left New Zealand having developed what was reported to be esophageal cancer and died quite quickly before he could return and make a public announcement of his discovery. Yowusa.com has a good work-up on the topic including discussing the idea that he was purposely killed to prevent disclosure. In 2008 a disclosure video was uploaded to You Tube which caused quite a stir. The person who uploaded the video claimed it was authentic and taken from the South Pole Telescope (SPT). The video was copied by Marshall Masters and was checked and verified. However soon after the release of these disclosure videos, You Tube took down the video’s and closed the persons account. Read the story here at Your Own World USA (Yowusa). An interesting parallel exists between the ancient Hebrew Culture and the cultures of the American Indians. As many people have learned, the indigenous peoples of Turtle Island (America) are spiritually connected to their tribal lands and are very protective of what is left of them. The Creator is extremely concerned about the land/earth and how it must be looked after. The Tanakh tells us that HaShem told the Israelites not to defile the land (Numbers 35:33-35) by blood violence (among others) because there is no expiation that can be offered for this sin. Deuteronomy 29:20-27 tells us that exile from the land is because of covenant disobedience. Exile from the land allows the land to heal itself. There is a deep mystery concerning the connection between the land/earth and humanity, but that is for another time. The Hopi maintain a complex religious and mythological tradition stretching back over centuries. Hopi legend tells that the current earth is the Fourth World to be inhabited by Tawa’s (the name for the Sun Spirit) creations. The story essentially states that in each previous world, the people, though originally happy, became disobedient and lived contrary to Tawa’s plan; they engaged in sexual promiscuity, fought one another and would not live in harmony. In some stories, these former worlds were then destroyed along with their wicked inhabitants, whereas in others the good people were simply led away from the chaos which had been created by their actions. One Hopi tradition says that Tawa destroyed the Third World in a great flood. Before the destruction, Spider Grandmother sealed the more righteous people into hollow reeds which were used as boats. Thus, the most obedient were led (usually by Spider Woman) to the next higher world, with physical changes occurring both in the people in the course of their journey, and in the environment of the next world. Hopi tradition tells of sacred tablets which were given to the Hopi by various deities. The most important was said to be in the possession of the Fire Clan, and is related to the return of the Pahana, the Lost White Brother of the Hopi. 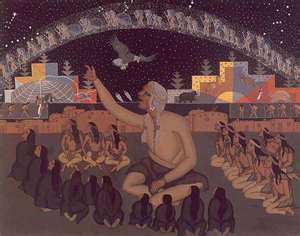 The Pahana or Elder Brother left for the east at the time that the Hopi entered the Fourth World and began their migrations. However, the Hopi say that he will return again and at his coming the wicked will be destroyed and a new age of peace, the Fifth World, will be ushered into the world. The Hopi say they will recognize the Pahana when he returns because he will bring the broken piece of the sacred text that was given to the Hopi people. It is said that he will return from the East and bring the People a new religion which is not really new. Concerning the Blue Star Kachina Prophecy, there are some who believe that Comet Hale-Bopp was the fulfilment of this prophecy, but others note that it could not be the fulfilment since the Hopi’s still celebrate the sacred ceremonies. 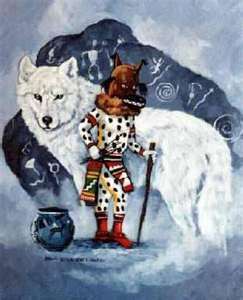 The Hopi prophecy tells us of the coming of two heavenly bodies, one called the Blue Kachina which precedes the second the Red Kachina , also known as the Purifier. Given a review of the current information, it does not seem likely that Comet Elenin is the Harbinger of Doom or Red Kachina/Nibiru of the ancient prophecy, but it certainly may be it’s forerunner (the Blue Kachina), one of the ‘signs’ in the heavens spoken of in the prophetic writings. It is possible that this reference to north and south could be referring to the positions of the two stars –The Red Kachina coming from below the ecliptic, or from the south and the Blue Kachina (which may or may not be Elenin ) is coming to us from north of the ecliptic. Or it could be speaking of an object (comet, asteroid) that breaks up during it’s passing. This part of the prophecy appears to be saying that UFO’s will be seen in conjunction with this Harbinger Event which may bring about Disclosure concerning ‘alien’ life. The Hopi People also foretold the advent of World War 2, Atomic weapons, of a time when men will desire to be women and women men, the discovery of DNA, tele-communications, crop circles and much more. See this 5 part video entitled 2012 Ascension of Extinction – An Ancient Hopi Native American Prophecy which goes into great detail about various parts of the Hopi prophesies. The Spanish expeditions to the New World yielded Mayan texts which were taken back to the Vatican where the Church spent some 5 months reconciling the Mayan Long Count calendar with the soon to be released Gregorian calendar so that the end of the Mayan calendar occurred on Dec. 21, 2012 at 1:11am. [See 2012 the Online Movie]. Some experts say that Callermans view should not be dismissed since his calculations are geared towards the beginning of the end, not the end of the end, so to speak. Callerman’s date [8/28/2011] coincides with the new moon of Cheshvan (Hebrew calendar). The modern world is sinking in it’s own depravity. The signs of corporate greed, political deception, and the ever increasing terrorism fulfil the words of the Vishna Purana. The Hindu tradition tells us that this will end in 2012 through cataclysmic events. 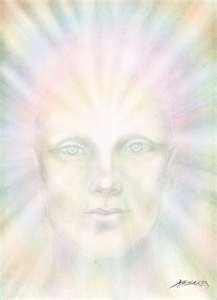 After the purification events, the Earth will enter into a new age of enlightenment called the Age of Satya-Yuga. This new age is marked by Global regeneration and the absence of technology. Satya-Yuga is the 5th world spoken of by the Mayan. Years ago, in the 1970’s when the first crop circles appeared, it was easy for the Establishment to debunk these crop circles since their designs were fairly simple, often just large circles. 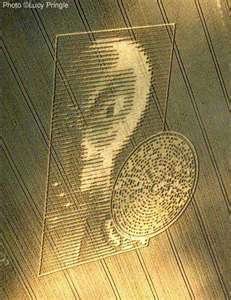 As the years went by the Crop Circles started becoming more and more complex with hidden messages within their design. Many of the crop circles within the last 20 years contain such information. In July 2008 at Avebury Manor, Wilts, England, a crop circle appeared that shows the planetary alignments of our solar system that will occur on 21 December 2012. See the Avebury Crop Circle here. Crop circle experts note that authentic crop circles produce an effect in the grain that cannot be reproduced by man. The stalks of the grain in which they are made are bent at a precise 51 degree angle that does not break the stalk and still allows it to continue to grow. All the hoaxed crop circles break the stalks and therefore destroy it’s ability to continue to grow. Another important consideration is that many of these crop circles are very large, some as large as a football field and many simply appear over night or even within a few hours. 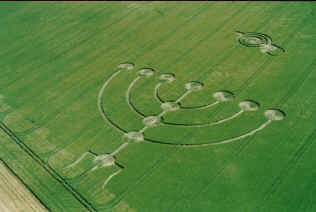 Couple this with the obvious complexity of many of the more modern crop circles, and any theories that these are simply hoax’s fly’s out the window. Only a highly sofisticated intelligence could have possibly created them. 1. The Cellular Cycle – 16.4 Billion years ago with 7 sub-cycles (representing a change in intention) This is the Creation of the Universe. It should also be noted that the Planet X’s trajectory is tilted at 33 degrees to the epileptic plane of our solar system. 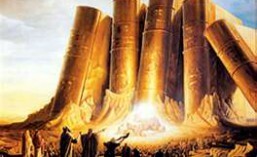 What Do Our Sages and Rabbi’s tell Us Concerning 2012 and the End of Days? Recently an extremely tight code produced by the Torah Code researchers in Jerusalem and New York tell us of a Nibiru fly by in 2013. This code “The Star Nibiru in 2013,” was first discovered by Rabbi Glazerson from Jerusalem. The code uses a variant spelling of the more common “Nibiru.” the spelling in this matrix, which uses “Nabiru.” The initial feedback from Jerusalem was that while there is only one or two solid Planet X codes for 2012, there are numerous solid hits for the year 2013, and on more than one spelling of the name. In Hebrew the word often translated as ‘new’ can mean re-new. The Hebrew word ‘chasash’ can mean renewed depending on it’s contect, such as a new moon. 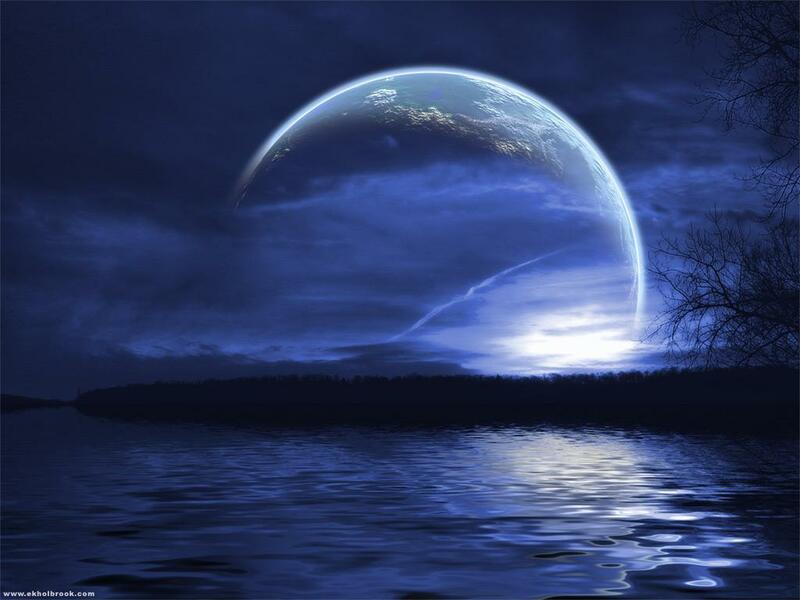 The new moon is not a brand new moon but one that has been renewed in it’s monthly cycle. Hense the idea of a new heaven and earth is one which is renewed in it’s cycle. The ancient Hebrews understood that time itself is not linear but cyclical. The Maya are also noted for this understanding as well. This alignment will allow a stream of new light, which emanates from the center of the galaxy, to shine on the earth without any interference of the planets. It is believed that this new photonic light will transform humanity at the genetic level to evolve. According to the Mayan tradition this event will significantly influence our consciousness raising it to a extremely high level. The Gemara bases this on a passage from the book of Malachi that speaks of a day burning like an oven when the righteous – those who revere the Name of HaShem – are healed by what is termed the Sun of Righteousness. The wicked are trampled down. The passage stresses keeping of the Torah which is actually the biblical definition of righteousness. The Hebrew word orot meaning lights has a gematria of 613 which is the number of Torah commandments. The gematria of tzedek meaning righteousness and kli meaning vessel are 194. The association indicates that righteousness requires a vessel. When some turns to the Torah life they become a fitting vessel for this divine light. Unknown to many people, there is a very strong connection between the Mayan Wisdom Traditions and the Jewish Traditions. The Mayan 2012 prophecy also parallels the Jewish tradition called, “The Footsteps of the Messiah.” As noted above the Mayan and Hebrew calendars are similar. The Torah Codes connect the phrase ‘end of the redemption’ with the Hebrew equivalent of 2012, which is the Hebrew calendar year of 5772. This combination appears in the Torah text that discusses the keeping of the Torah laws and the fear of heaven. [The Mayan Culture and Judaism by Rabbi Mattityahu Glazerson and Professor Robert Haralick, pg 44 and 46. I highly recommend this book]. The phrase time of trouble in Hebrew gematria is 772. The gematria of the phrase time of clarity is also 772. And the gematria for 2012 is also 772. In the book of Jeremiah chapter 30 is the reference to the Time of Jacob’s Trouble. If we are deducing this correctly the time of trouble for the nation of Israel is in 2012, which on the Hebrew calendar begins on Roshashana in 2011, which is this year. The meaning of the gematria can be suggested to indicate that 2012 may be a time of trouble for the wicked who are trying to destroying Israel, but for the righteous, it will be a time of clarity. There is a electro-magnetic plasma field that envelops our solar system that has become measurably thicker in recent years. This change will impact humanity at is most fundamental base – it’s sociological and physiological levels. Humanity is linked to Earth’s resonance field, called the Schumann Cavity Resonance. Up until 1986, this resonance was recorded at a constant 7.8 Hertz. Humanity’s physiology matches the Earth’s resonance, which match’s the Sun’s, which match’s the solar system’s, which in turn match’s the galactic core which is in step with the pulse of the universe. In 1986, this resonance began to increase and some experts believe that it will continue to increase until it reaches 13 Hertz in 2012. After the cataclysmic events of the End of Days, there will reign a new humanity, with a changed and evolved DNA. On February 19, 2011 the EU Times reported that in a meeting with the Pope, the Russian President Medvedev told the Pontiff that a 12 planet , name Tyche would enter our solar system in 2012. Im interested in your proposition. I am in the process of writing a series of ebooks on the end of days which cover pre-flood/Atlantean history, post flood prophecy and modern day fulfillments of the Hebrew Bible and other ancient records. Some parts of the ebooks are already on my blog. I truly enjoy examining on this web site , it has excellent posts . “Something unpredictable but in the end it’s right, I hope you have the time of your life.” by Greenday.